2013 marks the beginning of a year of celebration for the Women’s Sacred Music Project. It is the 10th anniversary of the publication by Church Publishing, Inc. of the Episcopal hymnal supplement Voices Found: Women in the Church’s Song. Voices Found is the first publication of liturgical music that focuses on music by, for, and about women. The publication resulted from early pioneering by a women’s study group organized at St.Mark’s, Locust St., in 1995, following a celebration of the 20th anniversary of the ordination of women in the Episcopal Church. That group was interested in encouraging women in the pews to find their voices in the Church. They wanted to worship with inclusive language materials and liturgical song by women. The Reverend Paulette Schiff, Associate Rector of the church, encouraged the group and presided at an inclusive language Eucharist in the Lady Chapel of St. Mark’s. She asked Lisa Neufeld Thomas, a member of the group, to find and play music for that service. When Mrs. Thomas found some appropriate music Paulette sang it at the service and supported the formation of a singing group to present the music that was generated. That choral group became known as the Lady Chapel Singers, a small ensemble that sang for the service at St. Mark’s and in time presented music by women in liturgical and concert venues throughout the US and abroad. Mother Paulette frequently sang with the group and participated in some of their tours. 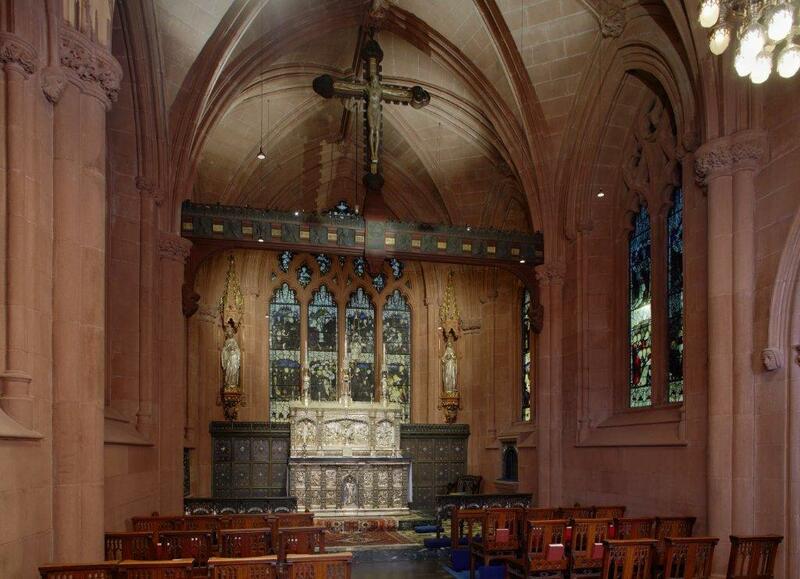 Most of the repertoire of the Lady Chapel Singers was published in 2003 in Voices Found. In 1996 activities of the singing group came to the attention of then Diocesan Bishop Allen Bartlett who supported more extensive research and eventually introduced a resolution at General Convention to direct the publication of music by, for, and about women by Church Publishing. General Convention passed the resolution in 1997. Lisa Neufeld Thomas, leader of the Lady Chapel Singers, became convener of the several hymnal committees, and is now President of WSMP. She is most grateful to Mother Paulette for her initial support and nurturance of the infant project and to Bishop Bartlett, without whom Voices Found would never have been published. Therefore the first celebration of the 2013 anniversary, April 13, 2013, is a tribute to these two Church leaders.